This is absolutely my favorite way to use leftover mashed potatoes. 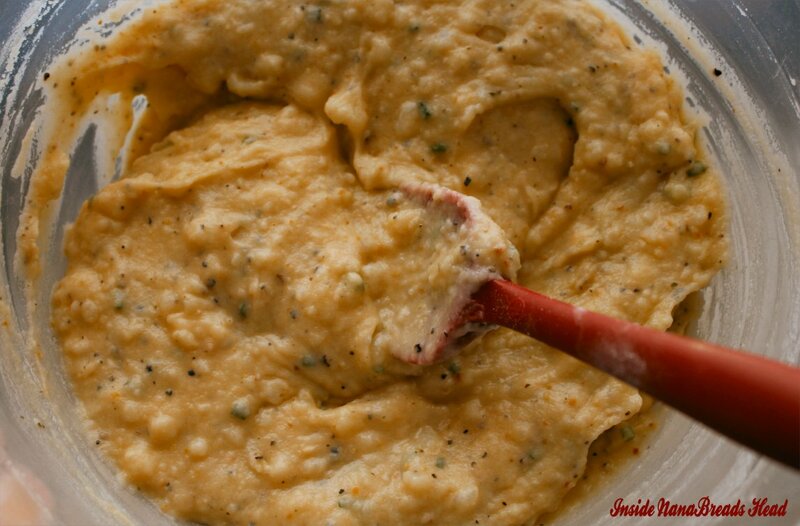 In fact, I love these so much, I sometimes intentionally make more mashed potatoes than we need for dinner just so I can make these the next day. They’re just SO GOOD! Crispy on the outside and creamy on the inside, these gorgeous golden beauties are packed with flavor and smothered in comfort. Combine all of the ingredients (except the oil) in a mixing bowl. Whisk until well combined. It’s okay if there are small lumps of potatoes. Add just enough oil to a non-stick skillet to about 1/8″ deep. You’ll want just enough oil to allow it to bubble around the edges as these fry. 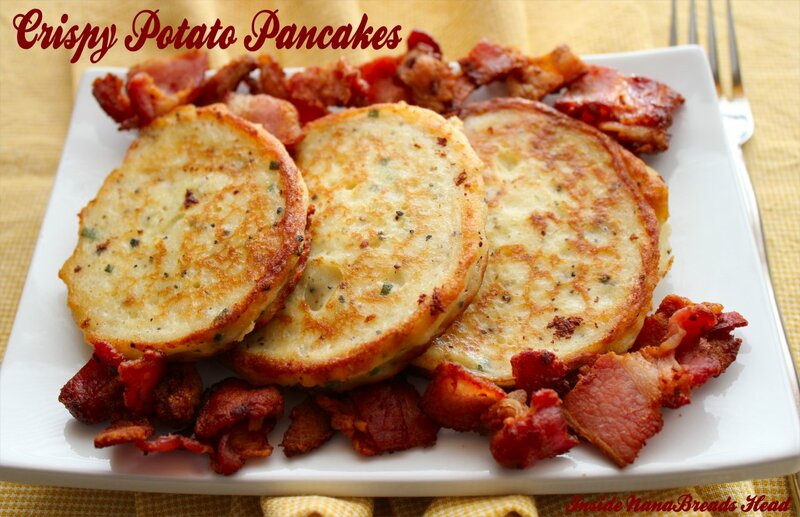 If you’re really adventurous and you’re making these for breakfast, fry a few strips of bacon first, then fry your potato pancakes in the bacon grease. The extra punch of flavor it adds will blow your mind, and if it’s hot enough, they will turn out nice and crispy without being greasy. I promise. Cook over medium-high heat until both sides are golden brown and crispy around the edges. Drain on paper towels and keep warm until they’re all finished. These make a great side to almost anything, but we love them for breakfast. 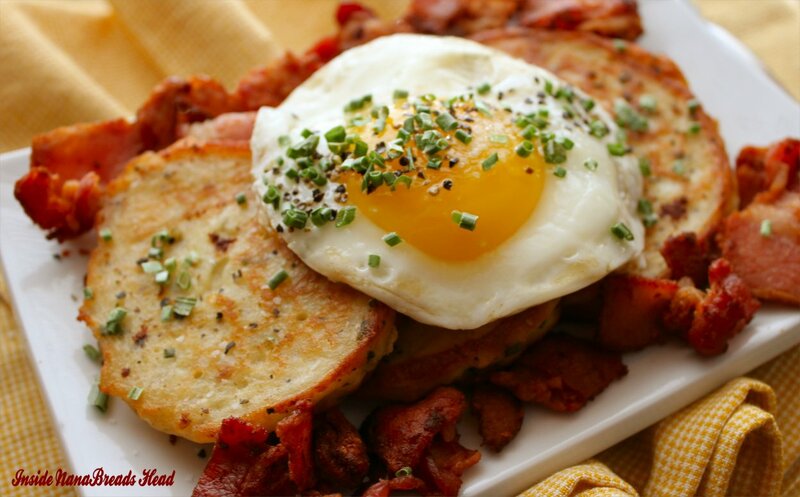 Piled onto a plate with a little bacon and a soft fried egg? Fuhgeddaboudit. Make these, and I swear you’ll never look at leftover mashed potatoes the same way again. Now go make your own; these are mine. Especially with that soft fried egg on top! It’s not a cat on the head, but it’s just as warm & comforting. And less meowy. Say hello to Esme Kitty for me! They look absolutely delicious — and your pictures have made me very very hungry for these! Yum! These are so easy and so good. I’m thinking about putting a few on top of a salad for lunch now. Send help. It makes me so very happy that you said “when” and not “if”. Yippppeeeeeeeee!!!!! Would it be bad to to make mashed potatoes just to have leftover mashed potatoes? I didn’t realize you fried the bacon, then fried the potatoes. You are a genius. I always make extra rice to make fried rice the next day, but fried potatoes sounds like my next goal! If your bacon leaves a lot of grease in the pan, pour most of it off. You don’t need much to add a lot of flavor to these. Let me know if you try them, Mads! I tried them! We totally forgot the bacon step (I was too concerned with getting the potatoes directly into my mouth), but it didn’t matter. These were winner winner chicken dinner! We ate them again for breakfast with the fried egg on top…incredible. I love this recipe because I usually have all of the ingredients on hand. Thanks! As I read the directives, my instinct was thinking bacon fat to cook the pancakes in…I smiled when you mentioned it as an alternative to oil. Typically I try not to make additional mashed potatoes, buy you’ve changed that now. I’m smitten for potato pancakes Jeanne. Cheers from NorCal! Great minds do think alike. Hope you enjoy them, Brooks. Oh my but those look scrumptious. Can I put the dinner I was making on hold and have these instead?? Please? Depends…. what were you planing to make for dinner? 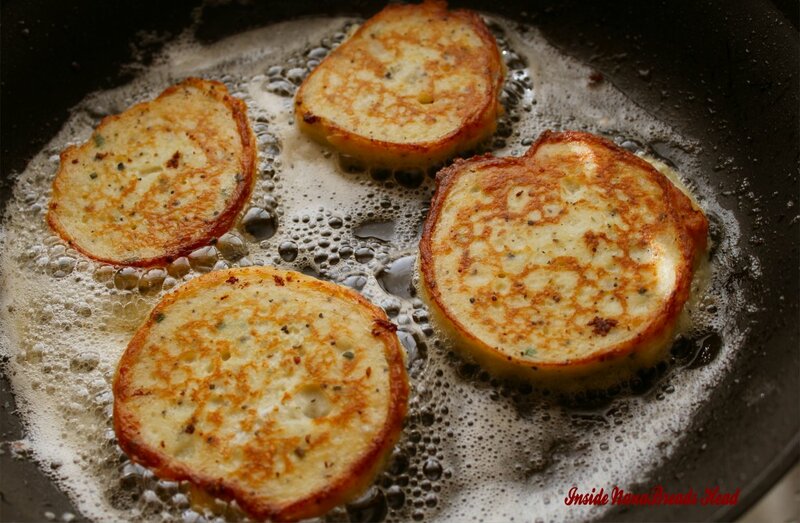 Potato pancakes are one of my most favorite things in the world. True story. I’ve never once attempted them at home because I hate shredding potatoes by hand. 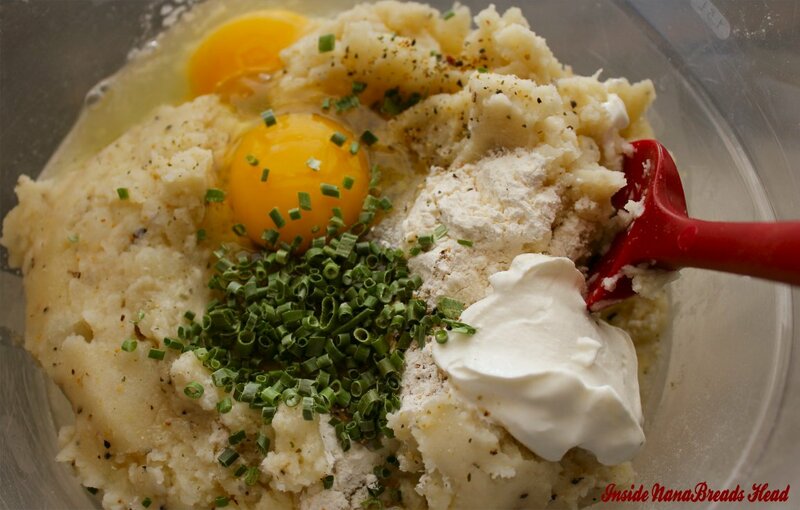 Your recipe calling for leftover mashed potatoes is something I can totally get behind. And I will…very soon! I love shredded potato pancakes, too. But these are way easier and faster to make, and a great way to shake up leftovers. Do you ever have leftovers wirh 4 boys at home? Ha! Not all that often, but in the case of mashed potatoes we do. Only half of the boys eat mashed potatoes. Bacon Slayer and I scratch our heads over that one. Who doesn’t love mashed potatoes?